Giving gifts at work can be tough. It can be hard to strike the right tone in a gift for a coworker. Luckily, this great list offers the solution with the perfect gift for every type of colleague. Ah, the joys of the daily grind. For many, some aches and pains are the norm but they don’t have to be. For that coworker you always see rubbing a sore back or complaining of neck pains, this massager will be a very welcome gift. 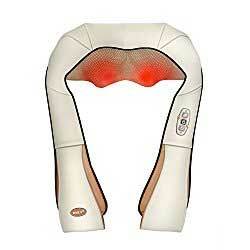 This massager can be worn in a number of positions to target different parts of the body. It has 8 kneading rollers that can operate in two different directions. The heat function provides warmth to loosen up those tight muscles so the massaging rollers can do their work. To power this massager, you just plug it in with either the AC adapter or the car adapter. It’s perfectly portable so your coworker can take it on the road and take it home if desired. If you’re extra nice, your coworker might even let you borrow this on occasion. Proper posture and comfort are vital for both a good mood and maximal productivity. 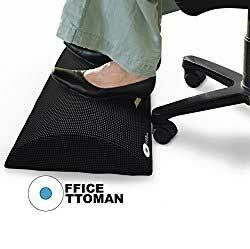 An under-desk footrest will support and massage sore and achy feet while also taking pressure off the back. The tread on this non-slip footrest feels great on tired feet and it works just as well with shoes on as off. The foam is medical grade which means it is antimicrobial and hypoallergenic. The removable cover is also machine-washable. The design will work for both shorter and taller users and there are a number of possible positions you can use. It has a relatively low profile so you don’t have to worry about it causing the knees to bump up into the desk. This footrest makes such a positive difference that you should probably go ahead and buy one for yourself while you’re at it! If you have a stressful job, chances are your coworkers could do with a little help in the stress reduction department. Even if they aren’t generally into things like meditation or zen or Japanese philosophy, everybody enjoys a sand garden and drawing board. Both these tools have been proven to be stress reducers and a fun way to calm the mind and boost focus. You usually have to buy these separately so this set that combines the two is a great value. Even for the novice, this is easy to dive right into. The kit includes white sand, round stone, Kumade, calligraphy water brush, drawing board, reusable storage box and a detailed instruction book. Drawing on either the sand, the drawing board, or both might even open up some new creative thinking for your colleague. Adding a touch of nature can do wonders for mood and has some proven health benefits. 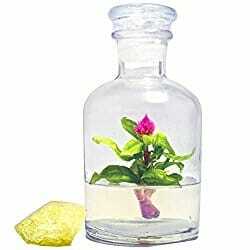 This small flower terrarium offers the happiness-boosting power of nature without any work. The blooming Celosia flower grows in a nutritive gel which means there is no need for watering, feeding, or even sunlight! If you work in a cubicle farm without access to sunlight, most plants just aren’t an option. This provides a solution. The terrarium is also small, standing only 4″ tall, so it doesn’t take up much space on a desk. Unfortunately, you can’t choose the color of the flower you get but all of the options are beautiful and unique. We all know that a cup of joe or a mug of tea can help you get through the workday. This beverage warmer will ensure that your coworker’s beverage of choice stays nice and warm, even when they get distracted by an email from the boss or a challenging customer. This warmer plugs into a standard outlet and keeps a drink at that perfect temp. There is a simple On/Off switch and an indicator light that shows you when it’s working. This is only safe to use with ceramic or glass mugs, though, so if your coworker tends to drink from plastic, this might not be the best choice. If a can of Coke is more to your coworker’s liking that a hot cup of coffee, this desktop mini fridge makes a great gift. 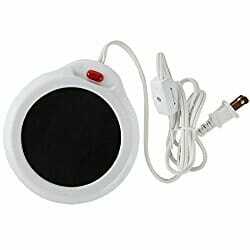 It can be plugged into a standard outlet or a power bank with the included USB cord. You can fit up to six 12 oz. cans in this little fridge. This fridge doesn’t use any refrigerants like freon but rather relies on thermoelectric energy. This makes it very safe for office use. Drinks might not get quite as cool as in a full-size fridge but they will reach 40ºF-45ºF below ambient temperature. One really cool thing about this fridge is that it can also be used as a warmer, up to temperatures of 122ºF-144ºF. Dry office air is the worst. For that colleague who is always complaining about the dry air, a mini humidifier for his or her desk is a good gift. This will add a little bit of moisture to the air around your coworker’s workspace. 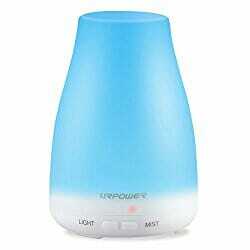 You can optionally add a drop of essential oil to make the mist released smell pleasant. Some essential oils can have a big impact on mood and productivity so this might make a big difference for your coworker. 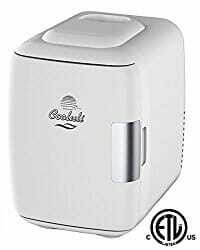 A lot of humidifiers can be pretty noisy but this one is whisper-quiet. A fun feature of this is the 7 color changing lamps so your coworker can display their favorite color or mix it up. If your workplace tends to be a bit noisy, your coworker might appreciate a headset that will help block out some of that noise. These wireless Bluetooth headphones from Otium are just the ticket. For earbuds, they have surprisingly decent sound quality so your colleague can use them for conference calls and the like. The battery will last up to 8 hours and they come with a nice little carrying case for when not in use. Will these cancel out all the noise of the office completely? 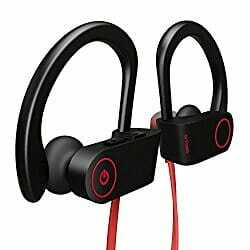 Probably not 100% but they will definitely significantly reduce the amount of noise that gets through. They block out sound by isolating noise because they give a solid seal. The coworker who is fun, creative, and likes their workspace to display some personality will love this gift. 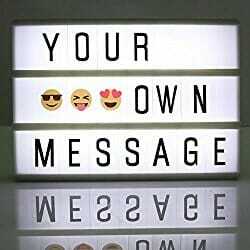 This lightbox measures 5.8 x 3.9 x 1.5 inches. It comes with 90 characters, a mix of letters, numbers, and emojis. Your coworker can regularly change up the message displayed. Each message can be up to 24 characters long. 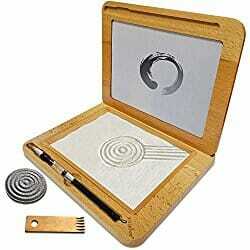 To light this up, you’ll need four AA batteries or you can plug it in using the 5VDC adapter. Your coworker will get a lot of joy out of this but so will you, as you walk by his or her desk and see the changing messages. If you have a coworker who is always trying to maximize their productivity and efficiency, this pen and notebook might blow their mind. This smartpen creates a digital record of everything you write and hear and then backs it up on your computer when you plug the pen in. For it to record what you write, you need to use the included Livescribe dot paper. 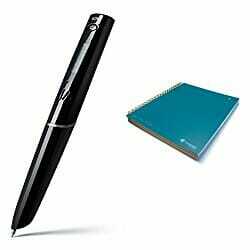 Livescribe makes a few different versions of these pens but this one is the best reviewed of the bunch. Not everyone loves this kind of presents, but if your coworker likes gadgets and wants to get the most done in the least amount of time, this smartpen and notebook set can help them do it. This gift definitely won’t be the perfect gift for every workplace or for every colleague but for some, it will be absolutely perfect. This desktop supply holder is a great choice for the office’s designated joker. Although the toilet theme is meant to be lighthearted fun, it also really is totally functional. It serves as a pen holder, tape dispenser, memo/card holder, and paper clip holder. This gag gift is sure to create a swirl of laughs, ensuring that your money wasn’t just sent down the drain. Just be ready to expect plenty of bathroom humor from the recipient! Do you have a colleague who hates making decisions? This gift is a fun way to acknowledge that decision making can be a difficult and frustrating task. This is essentially a nice-looking and potentially useful fidget spinner for adults. It is on the heavy side so it looks and acts as a paperweight as well. 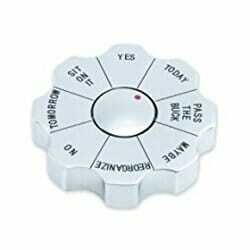 When you spin it, the marker will land on one of eight answers to any decision. This includes simple things like “yes” and “no” but also suggestions like “sit on it” and “reorganize.” Hopefully, your coworker won’t use this for actually making decisions but it can be a fun thing to play with when trying to decide between a few options. And for those less important decisions, like where to go for lunch, there’s no reason to not use this little decision-making tool! There’s a special bond between coworkers who uniquely understand the particular annoyances and frustrations of the workplace. This lighthearted notebook highlights one such frustration and annoyance that is common to many jobs: the unnecessary meeting. Give this notebook to a colleague as a present to cement your bond of people who have sat through pointless and dull meetings together. Even though the gift is meant to be fun, it’s still a notebook so it also offers a very useful and functional purpose. 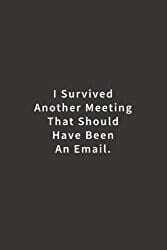 Maybe your colleague could even use it take notes in during one of those pointless meetings. If you’re really cheeky, this might even make a good gift for a boss, as long as they are the sort that doesn’t take themselves too seriously. Every workplace seems to have someone who is very driven and very organized. 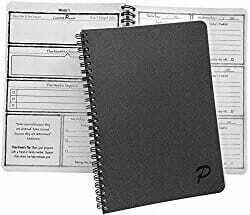 This pursuit goal journal makes a good gift for that kind of person, as it will feed that goal-setting energy. This journal is great for those who love making lists and who like to have a written record of their progress. It also offers some built-in motivation, in the form of inspirational quotes and tips. To make this an even better gift, consider buying one for yourself as well and then suggesting to your colleague that you act as accountability partners to one another as you work on pursuing your goals. Every serious professional should own a nice writing portfolio, even if it’s just for show. This is a budget-conscious option that looks just as nice as the really expensive ones out there. 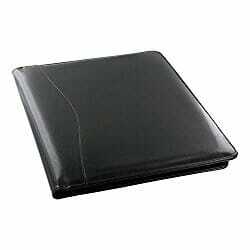 Made with Aristo bonded leather, it features an ID holder, a business card holder, a pen holder, and a spot for a legal writing pad. There is also an additional pocket that can be used to hold something else. To make this classy gift even classier, consider throwing in a nice pen. This gift is especially nice for a coworker who has just gotten a promotion or has just joined your team. The co-worker whose workspace tends to feature some cutesy and kitschy items might appreciate this mini desktop vacuum cleaner. 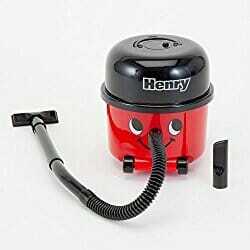 It does technically function as a real vacuum, although it’s pretty weak. It has a few different attachments, including one that can help you target crumbs inside a computer keyboard. You do need 3 AA batteries to power it. What makes this little vacuum a great gift is definitely not its vacuuming power. It’s a great gift because it’s adorable! It has a face, a hat, and even a name! Henry will make your coworker smile and isn’t that the whole point of giving a gift? Let’s be real. A lot of workplaces are chilly! Especially for your female coworkers or anyone you know who is always cold at work, a nice blanket makes a great gift. 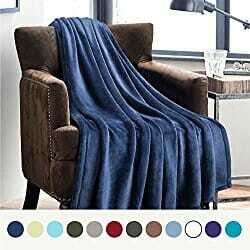 This great-looking blanket is made from microfiber polyester and it is incredibly soft, durable, and lightweight. It’s available in several different colors. Most importantly, it’s warm! A warm coworker is a happy and productive coworker and they will probably think of you fondly every time they use it. Do you have a coworker who works remotely or travels a lot for work? Do they ever complain about their phone running out of battery? Even if the answer to both of these questions is no, an external battery pack is a great gift. If the answer to one or both of those questions is yes, an external battery pack is a perfect gift. This works for charging tablets, phones (both iOS and Android), connected watches, Bluetooth earphones, and Fitbits. 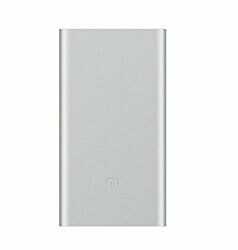 It’s thinner and lighter than most external battery packs so it’s easy to tuck into a briefcase or purse. It charges devices remarkably quickly and it can really save the day when you’re out and about without access to an outlet. Chocolate is like a magic elixir. It can instantly melt job stress while boosting happiness and goodwill. 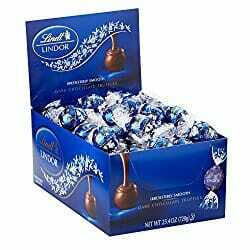 This big box of rich and delicious dark chocolate truffles offers enough that your colleague might be inclined to share. If you work in a warmer climate, you don’t have to worry because they will be shipped with ice packs to make sure that the chocolate doesn’t arrive in a gooey mess. These truffles come in a display box so this could also make a great gift for the office as a whole. You could leave it sitting on your desk and make sure colleagues know they are free to grab one as they walk by. If you have a coworker who has been known to spill from time to time and isn’t embarrassed by their tendency towards clumsiness, consider this waterproof keyboard. It works with any PC computer, either desktop or laptop. Made from silicone, it’s both dustproof and waterproof. 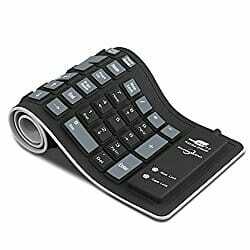 It connects to the computer with a USB cable and it’s easy to roll up and take on the road. In addition to not putting the whole computer at risk in case of a spill, this keyboard also offers the advantage of being completely quiet. Everyone knows a loud typer and this keyboard offers a virtually silent click. The only downside to this keyboard is that it might lower accuracy by a small amount, especially for really fast typists. For the coworker that runs hot, this Fred & Friends USB fan will make their day. You can plug the USB cable right into a desktop or laptop and the quiet fan will start doing its thing. 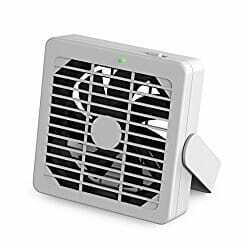 Using this fan won’t feel like standing right in front of an air conditioner but it will help add a little bit of a cooling effect and will get the air moving. The low setting doesn’t make a very big difference but the high setting blows quite a bit of air. There are a few colors to choose from so you can go with a basic white or add a pop of color like aqua. This fan has a really small, space-saving design so it’s not going to take up a huge amount of desk space. This stress ball could make a good gift for a few distinct types of colleagues. It’s a great gift for the coworker who is always frazzled and stressed out. It’s an especially good gift if you’re in the middle of a big project that is causing some anxiety for the team. It also makes a good gift for the coworker who is really into fitness. 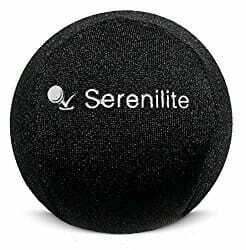 It can be used for general stress relief but it can also be very effective at building strength in the hands and forearms. It’s a discreet way for your colleague to get a little mini workout in during the workday. This ball can also do wonders for relieving carpal tunnel & arthritis symptoms. You have your choice of colors and the ball comes with a 100% Lifetime Guarantee. Do any of these gifts sound right for one of your coworkers? Are there any you’d love to receive yourself? Considering sharing this list and maybe your colleagues will take the hint. Do you have any other ideas for great coworker gifts? Please comment and let us know!